POWER CLEAN Rust Removers produce excellent results in removing rust and cleaning various types of metals. It also helps in removing oxidization layers from soft metals like copper. Removes Rust / Oxidation Layer from Metals Very Fast! PC Rust Remover 100 is an aqueous based Rust Remover and can be diluted further with DM Water (if required) to remove Rust and / or Oxidation layer from various metal types. For light rust, leave parts in 5 to 30 min and for heavy rust leave parts for 2 to 4 hours or overnight. After rust removing rinse off it with DM water and then apply POWER CLEAN Rust Preventive from further rusting. We dilute it and use it to remove the oxidization layer from our metal parts. 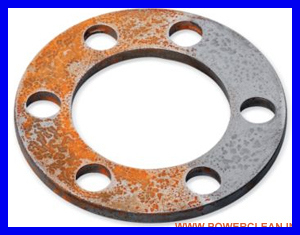 Water Mixable Rust Prevetives that can be diluted further in water to be used to protect metals from Corrosion. Specifically used in Rinse Tanks on Ultrasonic or Spray Cleaning systems. Rust Preventive Oil to be used for Long Term Rust Protection for metals. Excellent Corrosion Inhibitor.